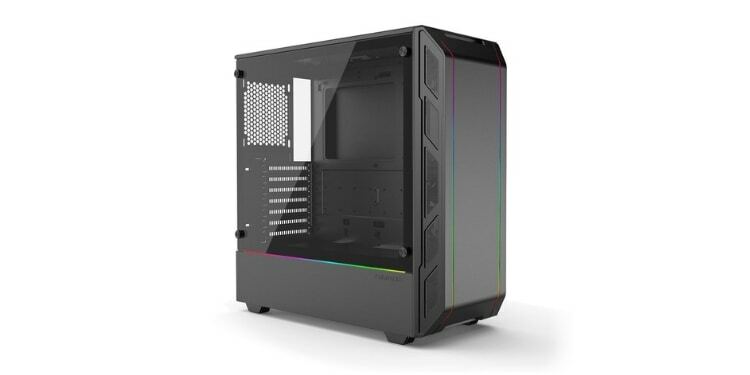 Home Reviews Buying Guides What Is The Best Tempered Glass PC Case In 2019? In this article, we’re going to go over our picks for best tempered glass PC case. If you aren’t familiar with tempered glass, it’s essentially just a stronger, safer form of glass that is more resistant to scratching and impacts. If it ever breaks, its shards are much smaller and less sharp than those of traditional glass. For this reason, it’s ideal for safety glass windows, screen protectors, and, yes, the case for your PC build. Below, we’ve selected 8 top picks for best tempered glass case. If you need any help picking the right one for you, we’ve included a buying guide at the bottom of the article. For now, though… let’s dive into them, shall we? What benefit does tempered glass offer? Do I need RGB lighting? Despite its small size, there’s a surprisingly plentiful amount of cooling options available, including up to 3 120mm fans… or 5 if you sacrifice a PCIe slot; none are included though. (Less if you use a liquid cooling radiator, though.) Combined with the right RGB lighting and its tempered glass side panel, any build you assemble in this should look stunning. There is a catch, though: this case pretty much requires an SFX power supply and shorter power cables for a clean presentation. You’ll need every little bit of extra room you can get here, and the best way to get that is by having cables as short as possible since your cable management will be restricted at best. On the opposite end of the spectrum from the InWin 301, the Phanteks Eclipse P350X offers a massive chassis for use with motherboards as large as Extended ATX. Add that to the plentiful drive bays and extensive internals, and you have a build suitable for RAID setups, custom loop liquid cooling, and more. Its larger size and features should provide a better building experience, too, regardless of your level of expertise. As long as you understand the inherent downsides of a case like this one (larger size, more weight, etc), then there aren’t really many problems of note. Even the price is incredibly fair for what you’re getting. The only thing we really take issue with is the fact that only a single 120mm fan is included, which simply isn’t going to cut it for a case as large as this one so you will need to buy more. 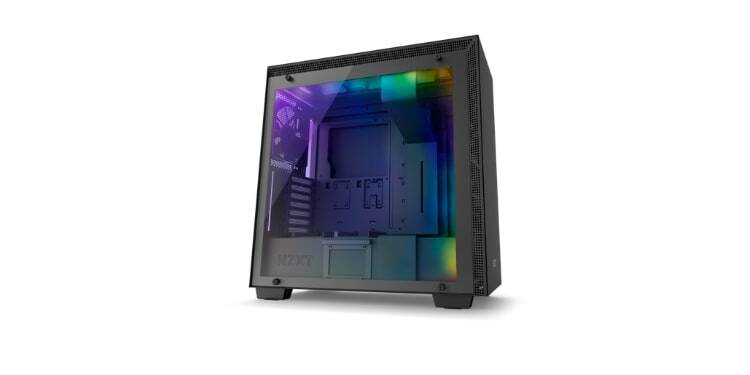 The Fractal Design Meshify C TG is a tempered glass rendition of the Meshify C. This is another large, builder-friendly case like the Phanteks listed above, except this one has no RGB lighting to speak of and includes 2 120mm fans pre-installed. Unlike the Eclipse, this case also doesn’t support Extended ATX, though there is still plentiful room inside for liquid cooling setups. In terms of pure quality, Fractal Design has long led the industry in solid-steel construction and a superb building experience. 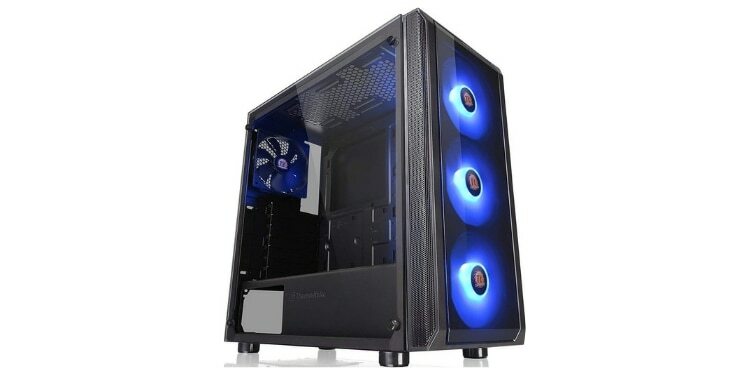 While the lack of built-in lighting is a bit of a shame, the fact is that you’re getting a case with superb build quality and airflow for your money, and that makes this one of our top picks on this list. Despite being under $100, the Thermaltake Versa J23 offers a feature set that is very comparable with cases up to twice its price. You have full-blown support for motherboard sizes up to ATX, a whopping four fans pre-installed out of the box, and three of those fans are RGB! Without paying anything extra, you’re already going to have superb airflow in this chassis… and that’s before you take into account the RGB fans, which would normally raise the cost of a case like this significantly. Aesthetics and cooling aside, you have solid build quality for the money and a very welcoming building experience. Most notably, you have a PSU cover which can double as a cable management compartment, and the pleasant inclusion of tool-free drive bays. For most PC gamers, the Versa J23 should offer all you need for an excellent gaming experience and great presentation. However… there are a few more high-end options we’d like to discuss, too. The NZXT H700i is NZXT’s premiere chassis, boasting pretty much every feature you could want. Four fans are included out of the box, RGB LED strips to illuminate the inside of the case, complete with a lighting/fan controller that can be controlled inside Windows with modern motherboards. There’s a dedicated PSU compartment, room for a custom-loop liquid cooling setup, and pretty much everything else you could want out of a Mid Tower ATX case. All these high-end features come at a cost, though: a high-end price tag. Additionally, some users report issues with CAM software, though our experiences have generally been positive in the past year. 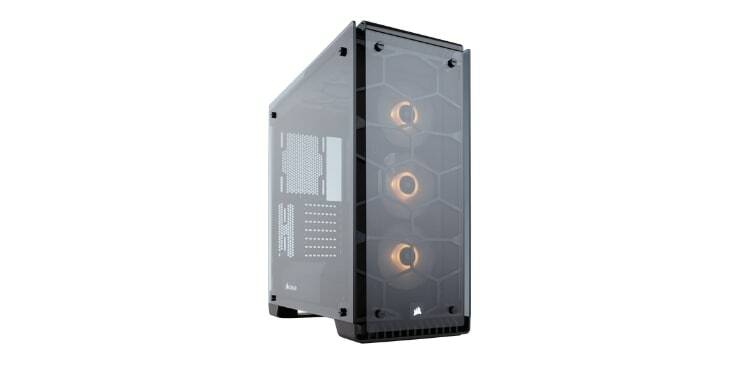 To alleviate the pricing issue, you can opt for the non-i version of this case-- the H700-- if you’re willing to sacrifice the RGB lighting and built-in fan/lighting controller. We’ve selected the H700(i) over the H500(i) due to far better airflow in this model, for anyone curious. If you want something suitable for a smaller build, look at the H400i below. Truthfully, the NZXT H400i is pretty much just a shrinked-down version of the H700i listed above. Same great cooling and airflow, just minus one fan and in a much smaller package. This story continues if you go even further down to the H200(i), but we strongly recommend against the H500i due to its poor airflow. The typical NZXT story stands true here: high-end features, high-end price tag. 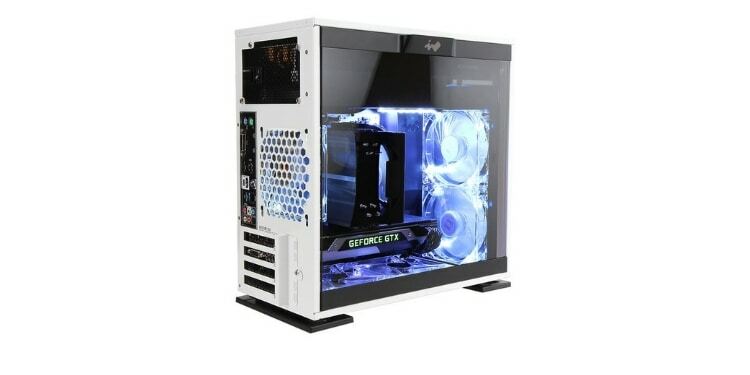 If you’re willing to sacrifice finer fan controls and RGB lighting, the non-i version of this case-- the H400-- can also save you a pretty penny. 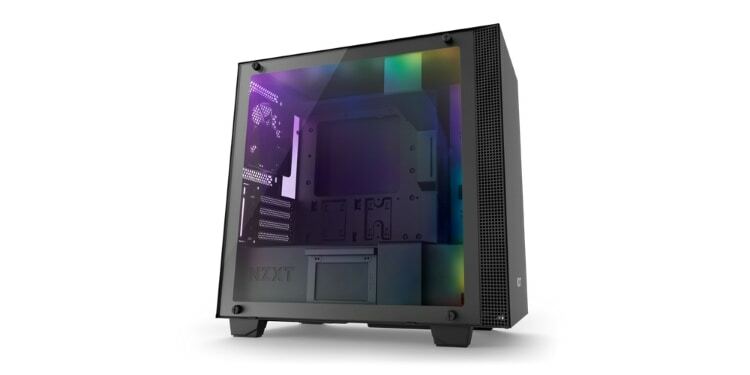 If you wanted an all glass computer case, well, this is the closest we’ve got on this list. Aside from the rear and bottom, every side of this case is covered with tempered glass. Add that to the three included RGB fans up front and multiple color options and you have an aesthetic treat of a chassis here. In terms of the case itself, you have expansive room for pretty much anything you could want. Room for plenty of extra radiators, a PSU shroud, ample drive bays and cable management room… there isn’t really a catch here. 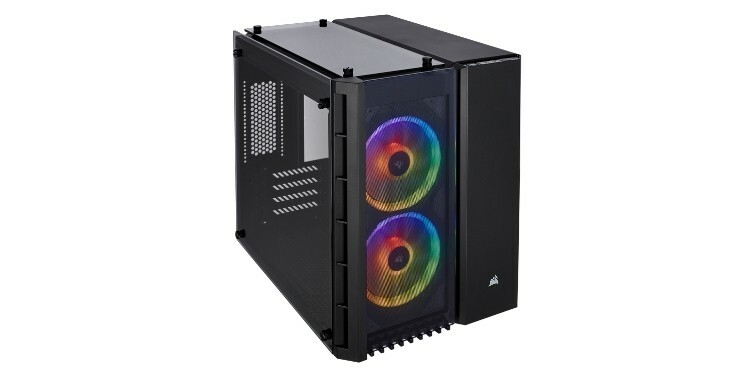 This case should provide a stellar overall building and using experience, though we’d recommend buying an extra exhaust fan or moving one of the three RGB fans to the back for a complete airflow solution. Also, it’s expensive, but actually not the most expensive case on this list. NZXT has Corsair beat there. If you weren’t able to understand the specs discussed above, we’ll go ahead and break down what you need to know about tempered glass computer cases. The main benefit of tempered glass is improved visibility inside your chassis. With the advent of RGB fans and case lighting, people are looking to show off the inside of their PC now more than ever. Tempered glass is more translucent than acrylic or plastic, and combines really well with internal lighting to make a chassis look really good. Tempered glass should also be more durable than other panel options, especially acrylic and low-quality plastic. Really, though, you shouldn’t ever be putting your PC in such a situation where any kind of side panel is at risk of breaking. You don’t need RGB lighting, but you won’t experience the full benefits of a tempered glass PC case without it. The main purpose of a tempered glass chassis is to better show off your internal components, and internal lighting is needed in order for them to be visible in any meaningful way. Non-RGB lighting might work too, but controllable RGB lights are definitely preferable here– the more, the better. The main benefit of a tempered glass PC case is in presentation, after all. You shouldn’t be investing extra for a tempered glass panel if you aren’t going to use it. If your chassis can support extended ATX, it can support everything else. If the largest it can support is Micro ATX, then it can support Micro ATX… but will often be a little easier to build in with a Mini ITX board. You get the idea. Drive bays refer to the available bays for you to place your drives in: 3.5 inch hard drives and 2.5 inch solid state drives. Some drives– namely M.2 and PCI Express SSDs– won’t even require drive bays since they’ll mount directly to your motherboard. For most users, you really only need 2-3 drive bays total, although it is common to for a case to feature way more slots than that. Fan capacity in this article refers to the number of standard 120mm fans you can mount inside your case. Larger fans are less commonly-supported and vary dramatically on a case-by-case basis, so we didn’t include those in our specifications. Liquid cooling radiators use the same mounts as 120mm fans. Larger radiators, such as a 240mm radiators, use two 120mm fan mounts at once– the only requirement is that these mounts are side-by-side. Every case listed in this article will support at least one 240mm radiator, which is ideal for a closed-loop liquid cooling setup. More complex liquid cooling setups, namely custom loops, are a bit out of the scope of this article. The larger cases from NZXT, Phanteks, and Fractal Design all offer some support for these, though. This simply refers to the ports available on the front or top panel of the case. Usually, one or two audio ports (for headphone/microphone use) and 2 or more USB ports. We’ll specify on a case-by-case basis, and yes, that was a pun.